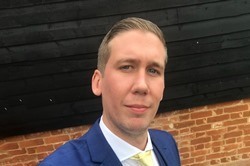 In January 2018 he co-founded the LGBT Admin and Assistant Network, and dedicates much of his time to speaking publicly about his aim to be a role model for all Assistants, especially aspiring male Assistants considering making the leap to the profession. Craig kindly spoke to ILSPA about his career, achievements and why he believes the roles of Secretary and Assistant are sometimes wrongly stereotyped and why it is so important to break those misconceptions. Tell us about your career and how you came to be an Assistant. I actually didn’t start my career as an Assistant, my first jobs were all in customer service and team management, however I had always appreciated the job that Assistants did and loved the variety that the role could bring. So in 2012 I decided that I would just go for it! I found a role as a team PA which also handled customer enquiries and the rest, as they say, is history. I have been working as an assistant ever since! As a multi-award winning PA what do you think makes a great Assistant? Great Assistants take the time to get to know the person they support, the job they do and how you can best support them, take time to understand the business and the area that your boss works in. You also need to be flexible and be ready to roll up your sleeves and muck in when needed. The other thing that great Assistants do is understand the importance of development. You need to be at the top of your game and you can only do this by continuing to learn and grow as an Assistant. In your opinion, why do you think the roles of Secretary and PA are sometimes stereotyped as women's jobs? And why is it so important that we ignore these stereotypes? I think a big part of the stereotype is what has been portrayed in the media. We are always shown the character of an Assistant as being a woman, but that’s not where the stereotype ends, we are also portrayed as people who simply run to get coffee, collect dry cleaning and answer phones - this is not the case! We as Assistants are doing more than ever, we are leading on projects, running high-profile events and being treated as members of the management team. It’s easy to say we should ignore the stereotypes, but we shouldn’t! Instead we should be fighting against them and showing people what we can do! You speak very passionately about diversity and inclusion and development within the profession. What would you like to see happen for PAs and Assistants in the future? I am very passionate about inclusion and development, for very different reasons. Diversity and inclusion is important to me because I believe that organisations can benefit from having a more diverse workforce, what we can learn from each other is important and more organisations should see that. If we have all the same people, from the same demographic all sitting around the table, we will only ever speak for that audience. I believe that there are small things that all of us can do to make our places of work more diverse and more inclusive. As for development, I am passionate about this because I honestly believe that this is the only way the Assistant profession will survive. What I mean by this is as the role changes and grows, we as Assistants need to be able to grow with it. That’s why it’s so important to stay on top of your own development. This doesn’t have to cost a fortune, it actually doesn’t have to cost a thing! There are so many free resources out there, some of which I have discussed at various events in the past. In Jan 2018 you co-founded the LGBT Admin and Assistant Network. Can you tell us a bit about the platform and why it is so popular? The platform was set up by myself and Adam Maxted at the beginning of 2018 with an aim to help and support people within the administrative profession who identify as a part of, or support, the LGBTQ+ community. We have had some ups and downs with this and are currently trying to decide what format this will take going forward, but the aim will remain the same. And finally, what do you like most about your profession? I love how much my role can change on a daily basis! No two days are the same and I enjoy that side of things, it keeps me on my toes and helps me to take on new challenges. I’m one of the lucky people who get to go to a job I love every day and not many people can say that.